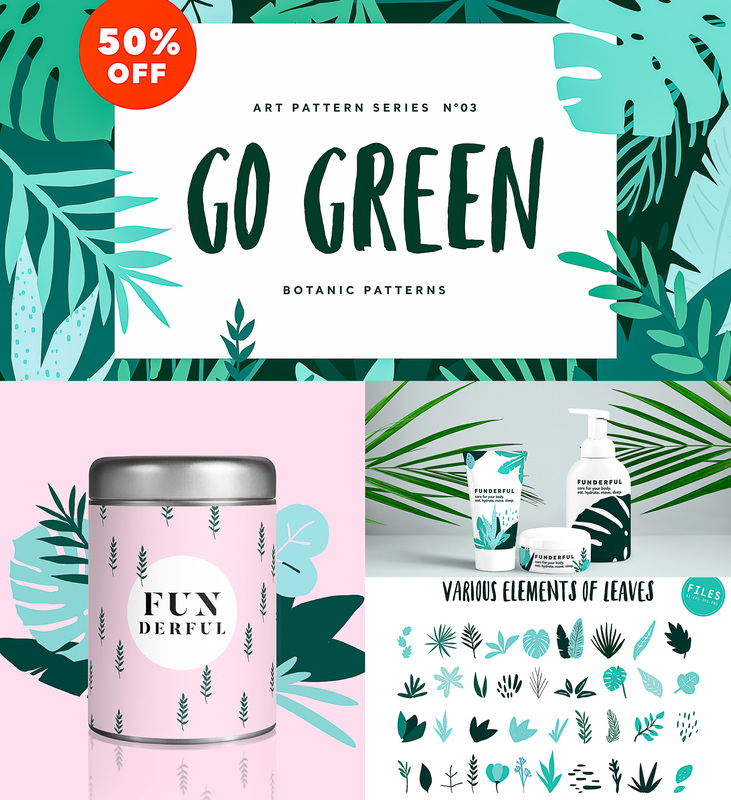 Introducing Go Green Design Pack – botanic pattern series. Inspired by the nature and beauty of organic graphics. They fit for any design project with endless composition combinations of all pieces. So easy to customize to create your own artworks. File format: .eps, .png, .ai, .jpg for Photoshop or other software. 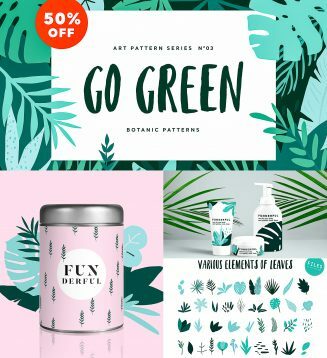 Tags: abstract pattern, botanical, eco, florist, green, leaf, leaves, monstera, package design, packaging, pattern, print, textile, texture.